First off, this is an older pack that is not listed on the Gregory site. It is still available at Recreation Outlet in Salt Lake City, UT which is where I bought mine less than 2 years ago. This pack is big. I can fit all my gear in it with room left over. I don’t really like packs that I have to strap stuff to the outside in order to haul everything. I can put my tent, sleeping bag, food, water, stove, and all other misc gear in it and it still isn’t full. I have gotten it up to 50 lbs of goods and still had room for more. The detachable lid is nice for day hikes away from base camp. It works like a fanny pack and most packs come with these now. It takes away the need to take a smaller backpack. I usually put a 3 liter bladder in the detachable lid and still have room for some snacks to take on a day hike. Bladder sleeve. Again, you’re going to see this feature on most packs, but I like that Gregory doesn’t miss stuff like this when designing their packs. 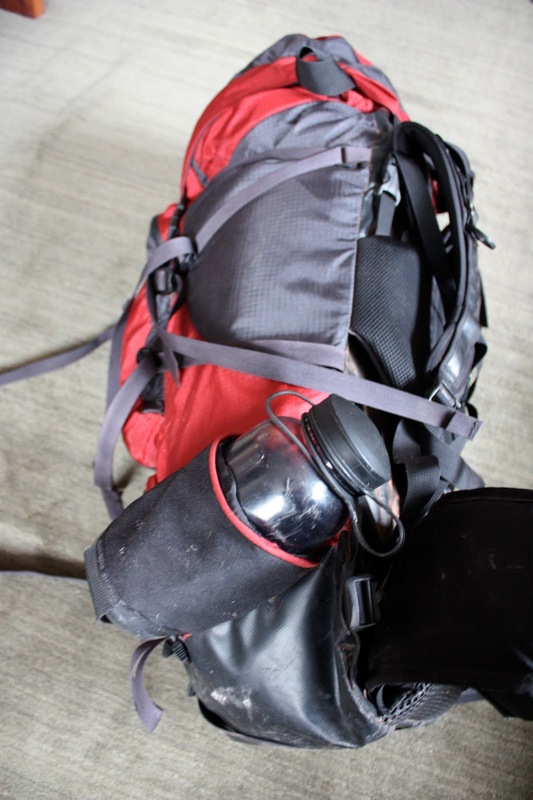 Put your Camelbak or whatever bladder you have in there and feed the hose to the shoulder strap for easy-access drinking while on the trail. Bottle holder on the side. I haven’t seen this on any packs before and it’s pretty cool. I always take a couple extra bottles with me on the trail and it’s handy to store one for easy access on the side of the pack when you stop and want to mix up some lemonade. Outer straps. As I said before, I don’t really like dealing with strapping a whole bunch of stuff to the outside of my pack, but it’s nice to know that I can if I have to. There are numerous places to hook things or strap extra gear when you need to. I most often hang wet clothes from my pack while hiking to let them dry out a bit. It’s especially nice if you’re the type of person that changes their socks often while hiking. Sleeping bag compartment. This is the bottom access to the pack. I don’t put my sleeping bag in there, but it’s such a great compartment to have access to. With large packs, one of the worst things is to realize that you left something at the bottom of your bag and you have to dig out all the other stuff in order to get to it. Not the case with this pack. Back door access. This pack has an outer pocket on the back for quick access items like headlamp, fire starting gear, snacks, etc. But what I love about it is that pocket also opens up into the main compartment of the bag. It makes getting to things easy and painless. There are some details on this bag that were missed. For one, the bladder sleeve doesn’t have a hook to hang the bladder from inside the bag. That means your bladder will slowly slide down to the bottom of the bag during your hike. Not a huge deal, but a bit annoying sometimes. Squeaky waist strap. 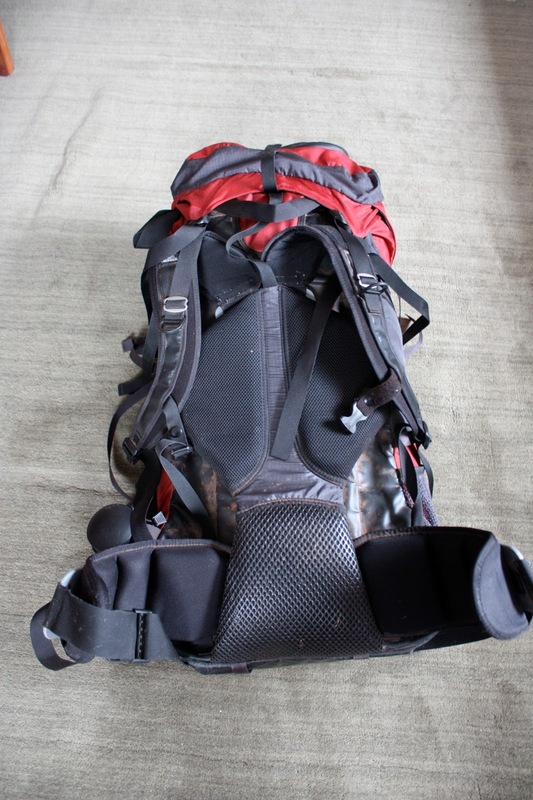 I’m not sure why this is, but whenever I have a good size load in my pack the waist belt squeaks against the main body of the bag. I usually tune it out but sometimes it gets annoying on the trial. Weak durability on the bottom. One of the things that sold me on the pack was the material on the bottom of the bag. There’s nothing worse than not being able to set your pack on some snow for fear that all your gear is going to get soaked. Well, after only a few uses, I noticed that the bottom of the pack was getting some wear and small holes. Price. This is going to be a dislike of mine for most packs I think. However, I paid a good chunk of change for this pack and it hasn’t held up to my expectations. I still consider Gregory Packs to be a good brand to go with. I just think I should have coughed up a little more money to get a different/better model. 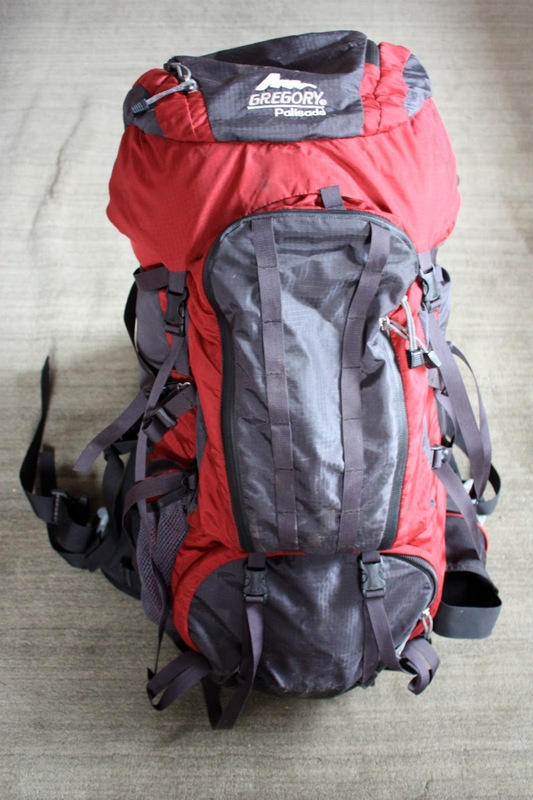 The lesson I learned here (which Paul taught us as well) is that you can’t go cheap on a good pack. Spend the money once so you have something that is going to last you a long time. UPDATE: A few days after writing this post I began looking for a new pack. I decided to contact Gregory and see if they could do anything about the holes in the bottom of my Palisade. 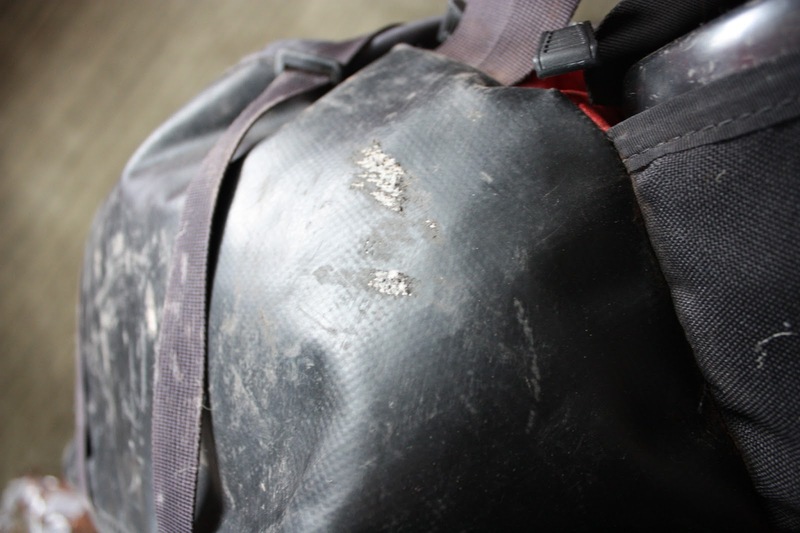 I was contacted via email and they said they would be happy to repair the bag at no cost. I took the bag in (I live about 20 miles from their warranty office) and they had it back to me within 2 weeks. I was really impressed with the speed of the repair. However, even though the repair was speedy, it wasn’t the best job. I contacted Gregory again with my concerns and they responded by offering to sell me a new pack of my choice at wholesale price. Needless to say, I was very pleased with the way they handled the situation. Gregory is a company that values their customers. That is sometimes hard to come by these days, so it’s something that I really look for when looking for quality outdoor gear. I got the Gregory Contour 70 pack and so far I’ve been really pleased. I’ll get a review up once I really put it to the test.